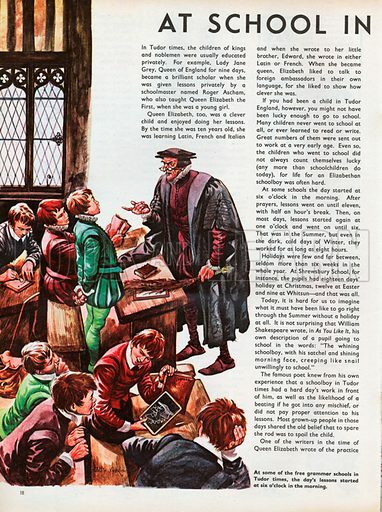 The Wonderful Story of Britain: At School in Tudor Times. A classroom in one of the free grammar schools in Tudor times, boys misbehaving and the schoolmaster ready with the birch. Available worldwide for immediate download up to 3,454 x 4,633 pixels.